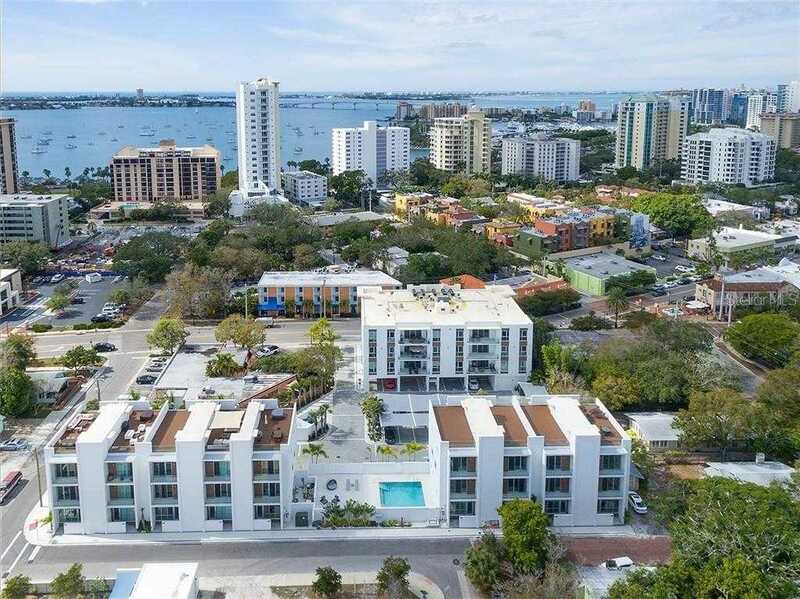 The Developer Residence at Orange Club, Downtown Sarasota’s newest community. Townhome includes private 2 car garage, private Elevator, private 600 ft roof top deck with Spa/ Hot Tub…add an outdoor kitchen with gas grill! Finishes feature imported Italian Cabinets, porcelain plank tile flooring, Quartz counter tops throughout, Hansgrohe faucets, stainless steel appliances, 10 ft ceilings and electric shades through out. Rarely occupied and steps to all that matters in downtown Sarasota. Please, send me more information on this property: MLS# A4430641 – $829,900 – 656 S Rawls Ave, Sarasota, FL 34236. I would like to schedule a showing appointment for this property: MLS# A4430641 – $829,900 – 656 S Rawls Ave, Sarasota, FL 34236.